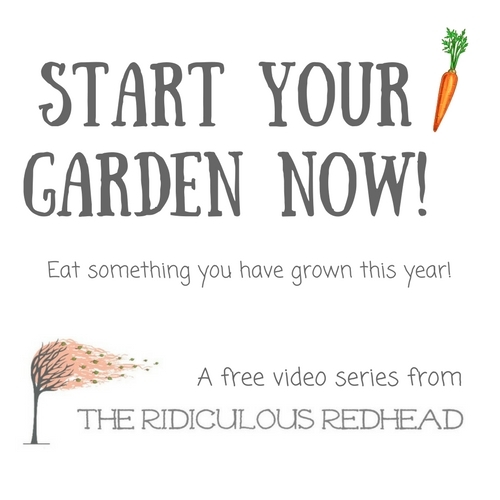 The Ridiculous Redhead > Garden > Start Your Garden Now!!!! 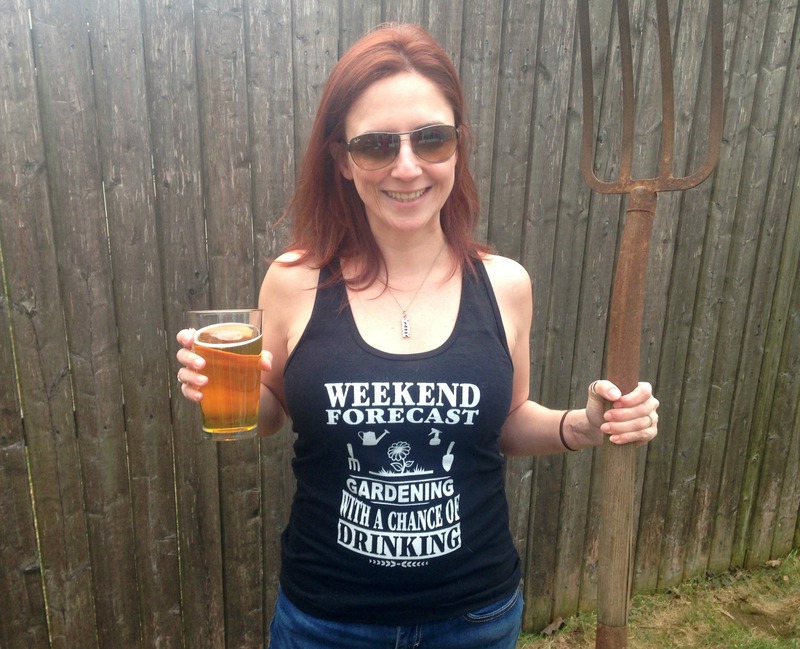 This past winter I have had a ton of people ask about gardening. They want to know how to get started, how to move beyond a pot of herbs in their kitchen window, how to start growing more of their own food. Many have offered me wine (the best bribe there is for me) if I would come to their house and help them get started. And as much as I love to help people get gardening (and wine in the garden), I am a little tight on time lately. The whole raising a kid, while running a company and of course never learning when enough is enough with all the gardening projects, takes up a bit of time. So instead I have created a video series on how to get started gardening. It’s five videos of yours truly walking you through the basics. It’s a nuts and bolts look at how you to get going in an easy, inexpensive way. Oh and it’s free. I’m not selling anything. Just sign up below, and you get the videos to watch. I just want you to start. The goal for this course is for you to eat something you grew yourself this year! There is no better tomato, or pea, or pepper than the one you grow yourself. Yeah, I did too. I have killed both English Ivy and cactus which is quite a feat (I underwatered and overwatered respectively). I didn’t grow up on a farm. I didn’t start with any special knowledge. I just started. I learned a few things (like don’t leave your potted plant on high shelf without water for a few months) and slowly I started growing things. I was totally making it up. Just trying new things and researching everything on Google. Now I have gardens all over my yard that we grow fresh food from all year. This course is free. I just want you to start. And I want to help so it’s easy and you have success. Because once you do eat that first thing harvested from your own garden you will become addicted. And you will keep growing things, and learning how to grow new things. And you will be happy. This is how it works: You sign up, you get an email to your inbox with access to 5 videos where I will walk you through getting your first garden set up. So what are you waiting for? Watch the videos and get started this weekend. Spring is finally here! Start Your Garden Now!